GALLOWS BAY — Gov. 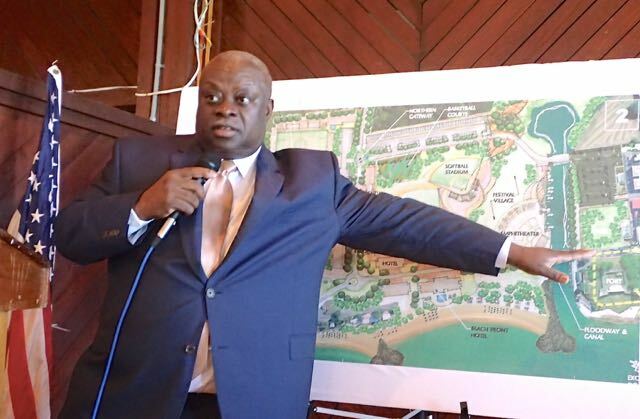 Kenneth Mapp made opening remarks on the first unveiling of architectural drawings depicting how Cramer Park and Susana Santana Park in Altona Lagoon will look once construction is completed. Mapp made the remarks at Canegata Recreation Center before Department of Sports, Parks & Recreation Commissioner Pedro Crua as the Public Finance Authority hosted the community Design charrette to explore design options for the revitalization and construction of the two public parks. After the presentation, those in attendance were then taken on a tour of both sites. The goal over the next few days is to work with the attendees of this design workshop to create a master plan and vision for Cramer Park and Altona Lagoon Park, finding ways to improve and enhance the parks in ways that will best benefit Crucians and Virgins Islanders alike. Each day a lunch will be served to those that attend the meetings and residents are invited to come out every day from today until this Friday June 17th. The governor said that community engagement and involvement in these charrette design sessions is critical. The charrette allows the government and citizens to work hand in hand in the growth and development of the Virgin Islands and to create community spaces that are functional and aesthetically appealing. This charrette is the first of several that will be hosted in the Virgin Islands. The next event will extend an invitation to the residents of Hospital Ground in Charlotte Amalie to join in a charrette to revitalize that neighborhood, to improve and expand the Lionel Roberts Stadium, the Winston Raymo Recreation Center and the outdoor shopping experiences that are so vital to that neighborhood’s history and culture. All members of the community are invited to attend the charrette over the next three days and contribute to the discussions. 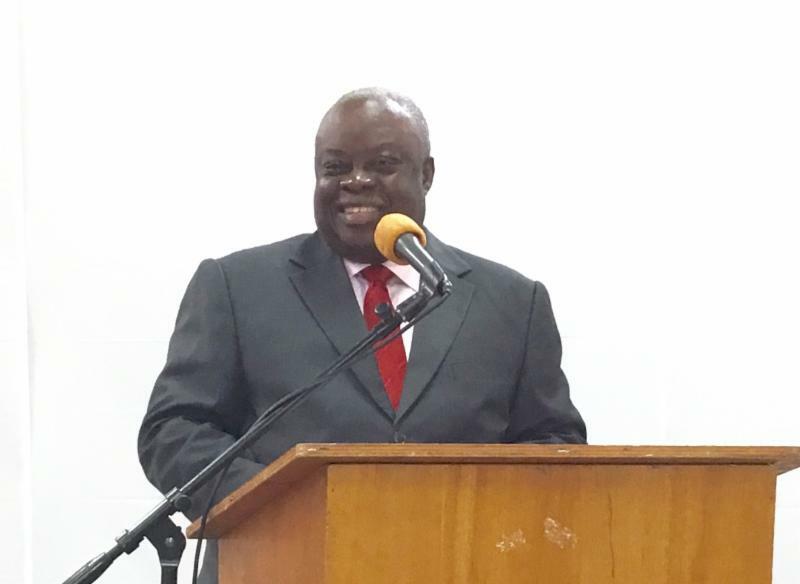 Mapp will return to the charrette on Friday, to see what the community proposes and the results of the three days of meetings. Gov. Mapp pointing at one of his infamous “charrette” drawings.